Call for Moderators: WP15 needs your help! We think so too! We’d love you to tweet about the 15th anniversary too! Unfortunately, some sexually explicit content has shown up on the hashtag in the past month, so the site is now sending all possible posts to a Pending list, so someone can review each post before it’s published to wp15.wordpress.net. 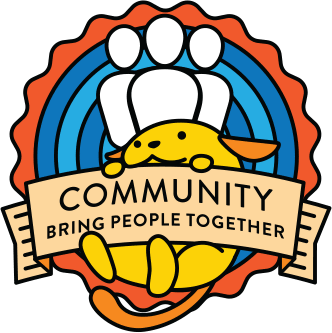 We need moderators to help us make sure that all the content displayed on the anniversary site relates to WordPress and is appropriate for all audiences. Depending on how many people volunteer, the time commitment is 5-15 minutes per day, every 1-2 days between now and June, to check the Pending list and publish all the tweets/instas/flickrs that relate to the 15th anniversary of WordPress (and don’t have adult content). Probably the highest volume of posts will come over the weekend of May 27, so ideally volunteers can help on that weekend especially. Skills requirements: knowing how to publish a Pending post in WordPress and how to distinguish between adult vs general content. Do you have questions or concerns that weren’t answered above? 🙂 Leave them in a comment below! I would love to Volunteer for this content Moderation, let me know. Deputies can contact me via .org slack at @vishalmukadam . Hi! Count me in please! When a unrelated or inappropriate post is found, you can also add that username to a blocklist, so that any future posts from that account will be ignored, and won’t have to be moderated in the first place. That’s under Tagregator > Settings. Would love to help. Count me in! Hi Andrea, i . am up for this, sign me up. Hi there, sign me up. I would be happy to help. Andrea, I should be able to help with this especially on May 27th weekend. Hi, I’m happy to help with this. I’m @danieltj on WordPress.org and Slack. i can help ove here!! !